Woodworker’s Journal featured the WORX Storage Step Stool in its February 2019 issue. The WORX Storage Step Stool is a portable toolbox that doubles as a step stool. The storage cavity underneath the top measure 14 1/2″-wide x 10 1/2″-long x 5 1/2″-deep. In combination with an 8 1/2″-long x 9″-wide x 2 3/4″-deep pullout drawer under the cavity, the Storage Step Stool can hold up to 28 pounds of tools and accessories. The 13″ step stool has a weight-bearing capacity of 324 pounds. Made of nylon resin, the Storage Step Stool has an integrated handle that lies flush in the lid for transport, a locking metal clasp for the storage compartment and a brushed surface for sure footing. The WORX Storage Step Stool is priced at $39.99. Shop for the WORX Storage Step Stool on www.worx.com. Read more from Woodworker’s Journal by clicking HERE. 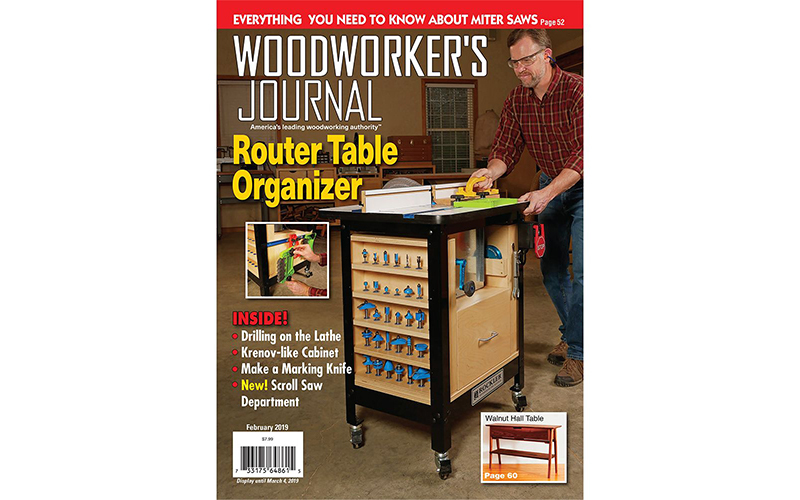 Woodworker's Journal featured the WORX Storage Step Stool in its February 2019 issue as a great organization tool! Here's what they said.